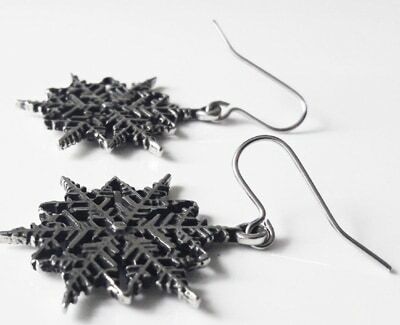 St Justin snowflake drop earrings. 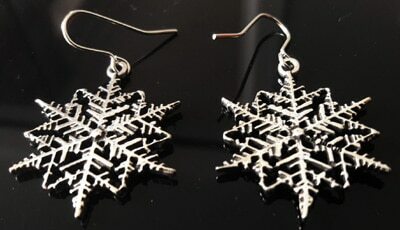 Intricate cut out pewter snowflake earrings, part of the Christmas range of jewellery. Come on surgical steel hooks. Width: 30mm Height (inc hook) 46mm. Supplied in a satin and velvet-lined gift box.